Treatment baths are extremely therapeutic and largely under-appreciated. Because they are not well-understood, parents are confused about how they should incorporate these baths into their child’s bathing routine; thus, missing out the many benefits of a bath soak therapy. Soaking can be a great way to give relief and rinse off all the allergens, irritants, dead skin, dust, dander, etc. that your child may come into contact with during the day. It also prepares the skin for hydration and when applying emollients whilst skin is still damp, it helps to preserve and restore skin barrier. In Dealing with Skin Infection, we mentioned about starting a bleach bath therapy for children whose eczema is frequently infected. A mild bleach-water solution is thought to decrease inflammation and bacteria on the skin that creates infection such as Staphylococcus aureus (‘Staph’). It has a preventive role as well as less likelihood of a host of infectious complications requiring antibiotics. Use 1 teaspoon of bleach for a galloon of water. Soak 5 to 10 minutes, then rinse off. It can be done twice weekly. Some children who performed a bleach bath showed reduced severity of eczema within 3 months. However, please consult with your physician or dermatologist before trying a bleach bath. Like any other antiseptics, a bleach bath can be drying for the skin because of its alkalinity. Alkaline products may reduce ceramide-producing enzymes and inhibit lipids. Therefore, do not use bleach bath when dealing with cracked skin. To counteract this drying effect, slathering lots of thicker moisturizer especially balm or ointment after bath will certainly help improve the skin functions. It does not work for everyone as it can be painful when skin is flaring but is exactly when it is much needed. A tip to make the bleach bath kinder and gentler for your child is to either use an ointment in cracks of skin or dress it up before getting into the bath. This will take away some of the initial discomfort, allowing the skin to gradually adjust. As far as we know, bath oil is fairly new to many of us compared to soap bars or bubble baths. We adore bath oil because it is far more superior in so many aspects relative to various traditional cleansing products. If there is just one bath product you can choose for cleansing your baby’s eczema skin, bath oil always prevails. With bath oil, a small change can make a big difference to sensitive, eczema skin of our babies and children. Similar to the premise of Oil Cleansing Method (OCM), it is based on the use of natural oils (blend) to gently lift away impurities without stripping your skin. 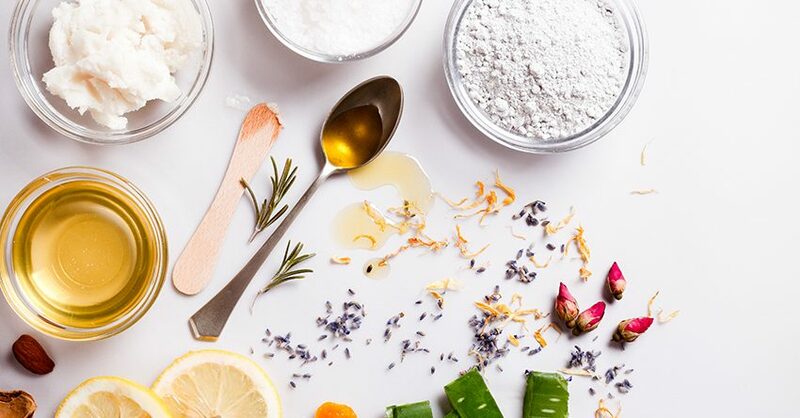 At the same time, the beneficial oils rich in essential fatty acids and antioxidants that are left coating the skin with a thin film naturally enhances the lipid barrier and restores skin’s moisture and pH balance; thus, offering much healthier and nourished skin than conventional soaps or cleansers. Bellary Nature Skin Nourish Bath Essence is a dispersing bath oil that is mild and gentle for your baby and child’s delicate skin. One to two capfuls can be added to your bathwater to offer emollience, leaving a thin layer of beneficial, eczema-friendly oils on her skin. Even a small amount can be beneficial. If you do not have a bath tub, this bath oil can be used in shower as well – either on a sponge or applied over the body before rinsing off. Please be mindful that emollients can make the bath tub or shower slippery. Take care not to slip and be cautious when climbing in and out of bathtub. Always use a non-slip bath mat or grab rails will be helpful. Oatmeal baths are cited to be effective for calming inflammation and relieving rashes, dryness and minor skin irritations due to eczema; which also helps prevent recurrence of the symptoms. But don’t be too quick to put your oatmeal breakfast into your bath. For soaking in a bath, we use colloidal oatmeal. Colloidal oatmeal is natural and has an excellent safety record. It is able to absorb water and bind it to skin. Its ability to create a protective barrier helps retain natural moisture and protect against irritants. Moreover, it also helps to relieve itch, calm inflammation and provide nutrient. If this isn’t enough, it cleans the skin too (due to natural Saponins in oats)! Bellary Nature Baby & Kids! Colloidal Oatmeal with Coconut Treatment Bath Milk comes in a single-use pouch that allows you to easily prepare a bath soak without much stress. Just sprinkle a sachet of the bath milk powder into the bathtub and soak for 10 – 15 minutes. There’s no need to use another cleansing product after bath. This can be used as often as once daily. Alternatively, for maintenance, you can choose to bath once or twice weekly. The National Eczema Association recommends salt baths for eczema. Why salt? Salt is natural, antiseptic and has a cleansing effect. This minerals-rich treatment bath has been studied to improve itching, inflammation and redness associated with eczema, while reducing swollen, painful skin and restoring a soft skin that is re-mineralized. Not all salts are created equal. Instead of white table salt that is found in most kitchen, go for the healthier choices – Dead Sea Salt, Himalayan Pink Salt, Epsom Salt, etc. Bellary Nature Baby & Kids! Epsom + Himalayan Treatment Bath Salts comes in a single-use pouch that allows you to readily prepare a bath soak without much hassle. Tear off the seal of a sachet and sprinkle all its content into a bathtub and soak for 10 – 15 minutes. It is unclear whether daily bathing or weekly bathing is best with salts bath. A compromise of twice weekly bath, in our opinion, will perhaps work for most who wish to try this treatment. Feel free to adjust the bath frequency based on your child’s experience. However, please be mindful that you will need to be patient as it is said that salt baths can take 10 days to see a difference. A precaution to take here is that if your child finds the water too salty or painful to sit in, try reducing the amount by half. Also avoid bathing in salt water during a bad flare as it may sting. A vinegar bath is another effective bath therapy that works to soothe eczema by relieving inflammation, fighting infection and calming itch. Its natural astringent property helps to re-balance the skin’s pH on top of offering a host of good nutrients that include B-vitamins, sulfur and acetic acid. In other word, vinegar is also antibacterial and anti-fungal. 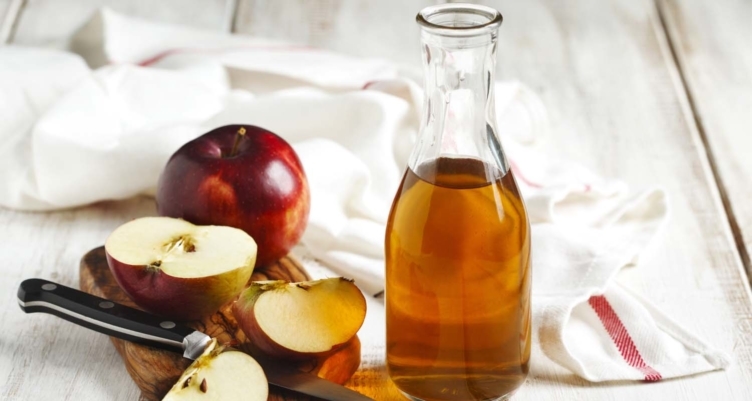 Of various vinegars, Apple Cider Vinegar (ACV) – in particular the ‘raw’ type with ‘the Mothers’ – is a popular choice for vinegar bath. Use 2 tablespoons of ACV for a galloon of water (for a baby tub). Soak 5 to 10 minutes, then rinse off. It can be done a few times weekly. It is said that a vinegar bath may take a bit more time to see the same results compared to a bleach bath; but it can be beneficial in the long run. To sum up on bathing practices for eczema, they are equally as important as is moisturizing in a good skincare routine – whether to preserve the integrity of your child’s delicate skin or to prevent frequency of flare ups. You will be very pleased to see the result and the difference they make when you apply these approaches hand-in-hand. Our skincare Eczema Management Series will not be complete if we miss out on the ‘Avoidance List’. Sign up now and receive for free our newsletter – The Itchy Dozen: The Worst Irritants for your Child’s Eczema – where we share some top irritants and allergens to avoid (because they have the potential to aggravate eczema) in any skincare products you decide to use for your baby or child. This entry was posted in Baby Eczema, Eczema & Bathing, Eczema & Dermatitis, Eczema & Infection, Itching & Scratching and tagged baby eczema bath soak, bath therapies and eczema, bleach bath and eczema, eczema bath oil, eczema bath soaks, how to prepare bleach bath for child eczema, oatmeal bath and eczema, prepare vinegar bath for eczema, salt bath and eczema, treatment baths for eczema, vinegar bath and eczema.